Paul Rozin was born in Brooklyn, New York. He attended the University of Chicago, receiving an A.B in 1956, and received a PhD in both Biology and Psychology from Harvard, in 1961. His thesis research was sponsored by Jean Mayer. 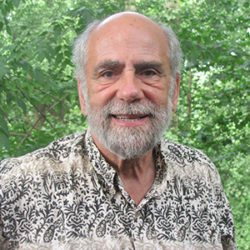 He has been a member of the Psychology Department at the University of Pennsylvania for 52 years, where he is currently Professor of Psychology. Past scholarly interests included food selection in animals, the acquisition of fundamental reading skills, and the neuropsychology of amnesia. Over the last 25 years, the major focus of his research has been human food choice, considered from biological, psychological and anthropological perspectives. During this period, he has studied the cultural evolution of cuisine, the development of food aversions, the development of food preferences, family influences in preference development, body image, the acquisition of liking for chili pepper, chocolate craving, and attitudes to meat. Most recently, major foci of attention have been the emotion of disgust, and how disgust can be a barrier to public acceptance of new technologies (e.g., genetically modified foods, recycled water) or other opportunities (e.g., increased consumption of insects). Rozin is also studying the entry of food issues (e.g., meat, fat) into the moral domain in modern American culture, French-American differences in the food domain, attitudes to natural and genetic engineering, and the nature of remembered pleasure.Paul Rozin is a member of the American Academy of Arts and Sciences and a recipient of the American Psychological Association Distinguished Scientific Contribution Award for 2007. He was an editor of the journal, Appetite, for ten years. Rozin has a major interest in and commitment to undergraduate and graduate teaching. One focus of his teaching is promotion of critical thinking skills, and furthering lay understanding of science. Rozin has interests outside of food, including psychological aspects of music and morality. He was also a founding director of the Solomon Asch Center for the Study of Ethnopolitical Conflict at the University of Pennsylvania.